Another month is just about to end — there are less than two hours left of May 2015. So, I’m wrapping up my month of running in this post. 1. I ran 73.81 miles. This is my lowest-mileage month so far this year, and that is because of different factors: I had just run a marathon at the end of April, I did one 10-mile run and no longer runs, I wasn’t training for a marathon, and I really wasn’t pushed to do too many longer distances. 2. I’m still not far off from my 2015 mileage goal. I’m at 472.47 miles for the year, and I should be at 500 if each month were even. But I’ll be running the Baltimore Marathon in October, which will involve plenty of long runs in training, and I’m also considering doing my running streak next month. I can still make the goal work: 500 is in sight! 3. I ran my first 5K of the year. That would be the 3rd Wave Brewing Co. 5K, which I blogged about earlier today. 4. I participated in a park cleanup. I’m the secretary of the Eastern Shore Running Club, and our group hosted a Park Clean Up & Run this past Saturday morning. It was fun to take part in the volunteer event with friends, and while we couldn’t get every piece of trash, it felt like we made a dent. It was appalling to see the amount of trash people leave outside — cigarette butts, ripped up lottery tickets, snack bags, straws, straw wrappers, pieces of crabs and more. Trash seemed to be extra bad underneath picnic tables. Trash cans are so close! People: Throw away your trash! 5. I ran in the sand. 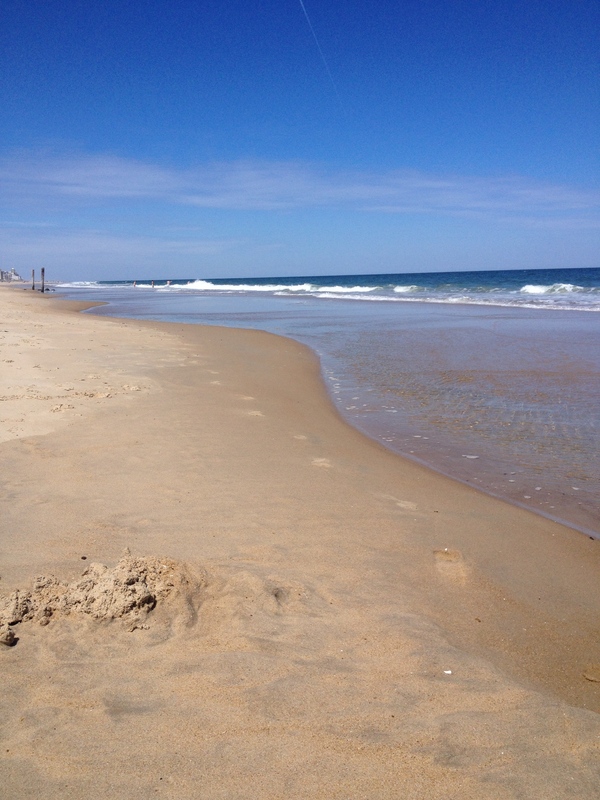 I did my first sand run of the year in Ocean City, a two-miler, this month. 7. I won some new shoes. I’m not the type of person who wins things often, so I was surprised to have been chosen to win a pair of Mizuno Wave Rider 18s at the end of a #bibchat on Twitter this past Tuesday. I haven’t received them in the mail yet. People on the chat were so supportive that I’d won — I got so many congratulatory tweets! 8. I’ve had a couple articles published on RunHaven. This doesn’t necessarily relate to my own running, but it’s about running, so I’m going to share it anyway. I had two articles published to RunHaven.com in May, and I expect to have more articles online there soon. I’m doing this on a freelance basis. Be on the lookout! I’m looking forward to more miles and possibly trying to do that streak in June. Read my past monthly reflections here. New shoes that’s awesome! I love winning running related things online- so fun and exciting!! Thanks! I was completely surprised because I have been participating in these chats for a while, and then I started getting all these notifications!